Date: Wednesday 30 August Time 2 -7 PM Venue Conference Hall, Nasscom CoE, IoT, Diamond District, Domlur, Old Airport Rd, Bengaluru. This panel will interface Educational, E-Learning & Edutech professionals with VR & AR innovators to take a 360 degree look at the unique features and characteristics of VR & AR and how they naturally lend themselves to faster and better learning. It will also take a look at the Huge need for content in this space as well as the hardware aspect in terms of affordability, accessability and efficiency of devices. 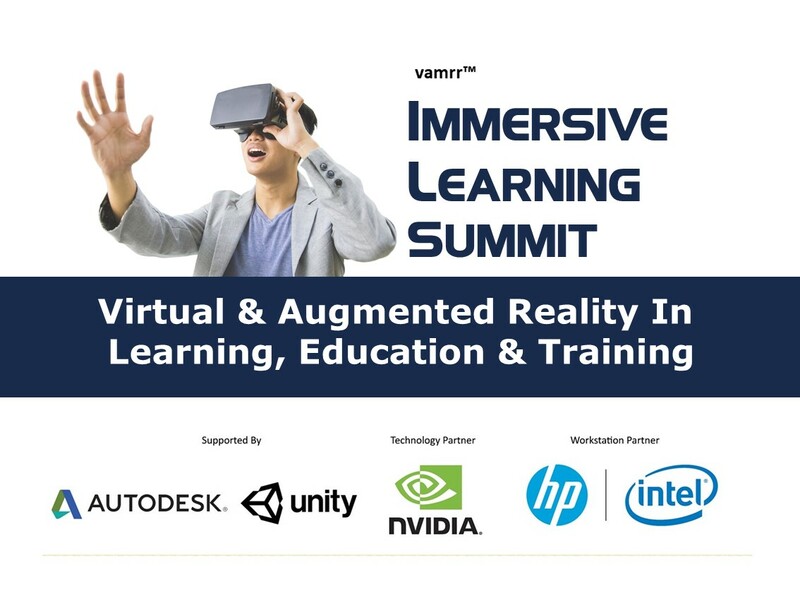 The session will seek inputs and direction from the Education & Learning domain specialists in what VR & AR content creators need to keep in mind while building Learning solutions.